For those of you who are thinking that you would never make homemade ricotta, and that I’m just going overboard in the other direction after giving you this tube-dough abomination…. you may be right. 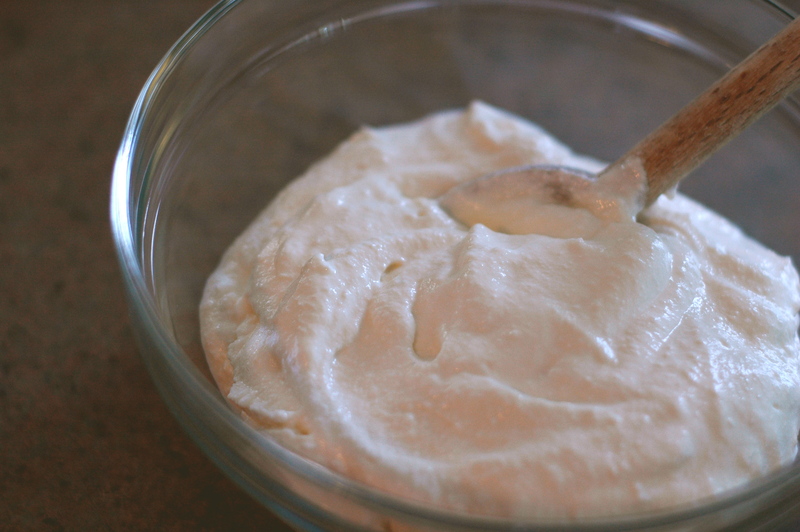 About the going in the other direction thing, not that you can’t make homemade ricotta. The first time I made this, it was as kind of a fun experiment. Then I realized how easy it was, and how unbelievably delicious the resulting ricotta was, and it became serious business. Why does nobody talk about how easy it is to make your own cheese?! I feel like I’ve been cheated, like I’ve wasted some of the best cheese-making years of my life! I’m practically a cheese-making spinster, if you will. One of the great things about this ricotta is that it will make anything you eat it with infinitely better. 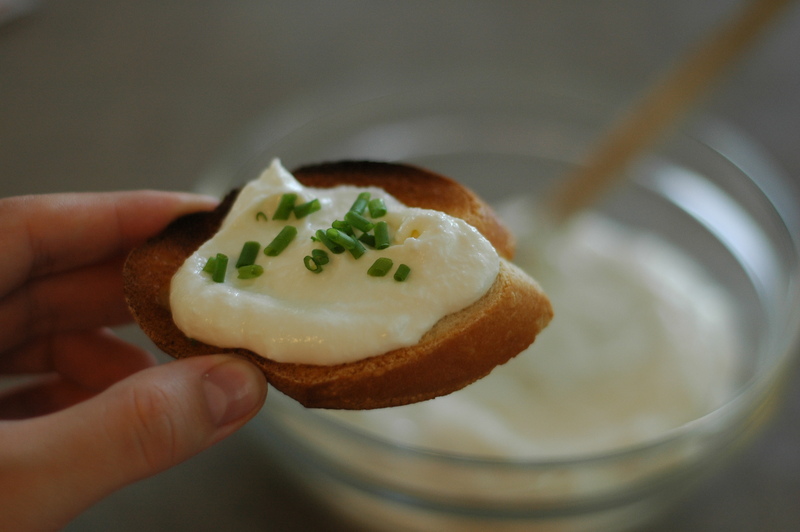 I remade this roasted grape crostini with the fresh ricotta and it was out of this world. I mixed it into some pasta and it was better than any cream sauce I would have been able to conjure up. I topped it with some olive tapenade on crostini, and it even made me like olive tapenade. But it’s also delicious just as it is, or with a few garden herbs mixed in or sprinkled on top. Or just out of the Tupperware, with a spoon, as it is frequently eaten around here these days. Next, I think I’ll tackle this using goats’ milk instead of cows’ milk. Then, not only will I be making cheese, I’ll be making goat cheese. And you can, too. We really are an impressive lot, aren’t we? All joking aside, impressive or not, this is so delicious that it will make you look at ricotta in a whole new light. Even if you think you don’t like ricotta cheese, try this. It is creamy, light, rich, and smooth. The flavor is clean and bright and tastes like summer. Like I said, it can pretty much go with anything, so there is no risk of any of it going to waste. Do yourself a favor and give it a shot. Adapted only slightly from How Easy Is That? 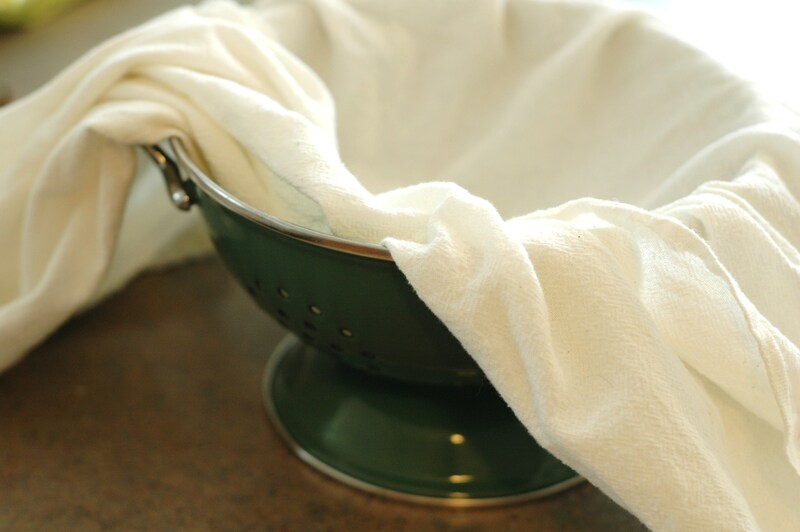 Set a large colander over a deep bowl or in the sink. Dampen 2 layers of cheesecloth (or a very thin kitchen flour sack towel) with water and line the sieve with the cheesecloth. 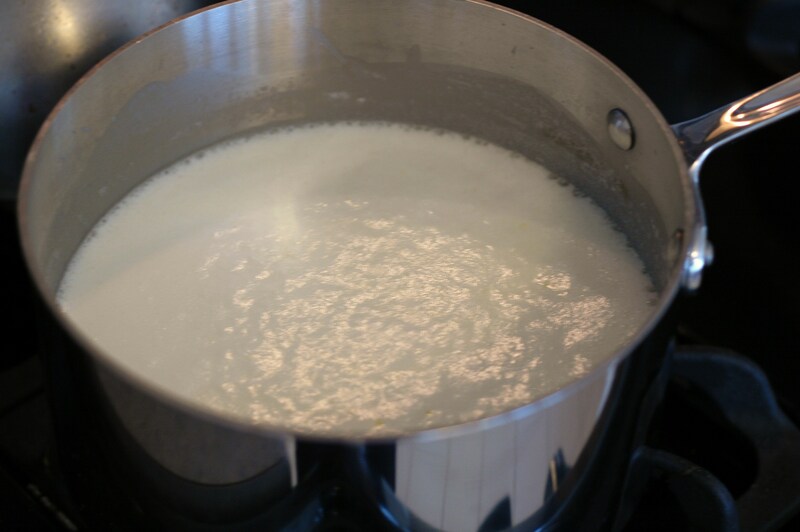 Pour the milk and cream into a stainless-steel or enameled pot. Stir in the salt. Bring to a full boil over medium heat, stirring occasionally. Turn off the heat and stir in the vinegar. Allow the mixture to stand for a minute or so, until it curdles. Pour the mixture into the cloth-lined colander and allow it to drain into the bowl or sink at room temperature for 20 to 25 minutes. The longer you let the mixture drain, the thicker the ricotta-how thick you let it get is your prerogative. 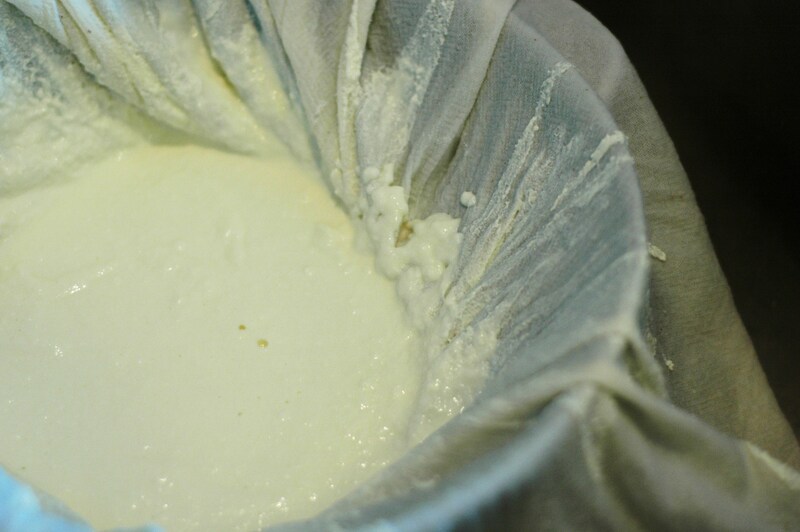 Transfer the ricotta to a bowl, discarding the cheesecloth and any remaining liquid. Use immediately or cover with plastic wrap and refrigerate. The ricotta will get even thicker as it cools. ah..nice! i tried making ricotta once but the consistency wasn’t thick enough! it was a letdown for me and i’ve not tried it again. May i ask what brand or milk and cream you use? are they pasteurized or not?